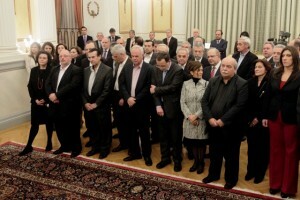 The new SYRIZA government, sworn in on Tuesday in front of President Papoulias. Prime Minister Alexis Tsipras will preside over the first cabinet meeting, on Wednesday morning at the government headquarters in the Maximos Mansion. 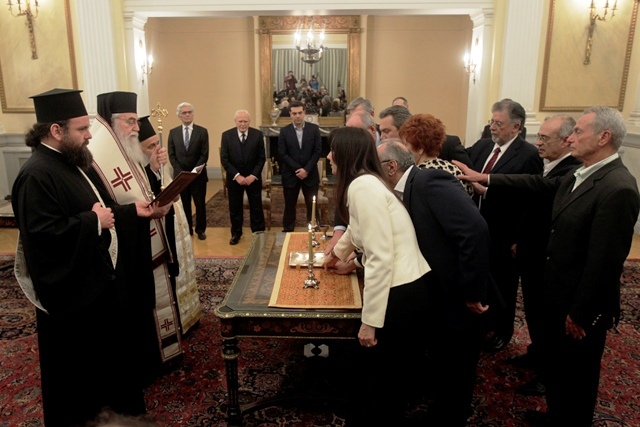 It will be followed by the ministry hand-over ceremonies..
A 15-member cabinet council – including Prime Minister Alexis Tsipras, Government Vice-President Yiannis Dragasakis and the 13 ministers – will meet every week, the newly-established government said on Tuesday. Government sources said following the swearing-in ceremony that the government had been planning the cabinet structure a long time before Sunday’s elections, and kept to its campaign promises to reduce the number of ministries to 10 (instead of the previous government’s 18), with 13 ministers (instead of 19) and with 5 deputy ministers (instead of 20). The smaller and more flexible cabinet is something the previous governments “could not do all these years, and we did so in one day,” government sources said, calling it a required step to reforming the state. Among other announcements, they said that Government Vice-President Yiannis Dragasakis will be responsible for coordinating the economy and finance ministries, and will chair the National Council of Economic Policy and the National Committee of Negotiation. 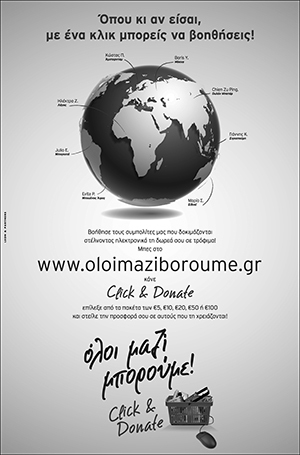 Minister of State for government coordination Alekos Flambouraris and his deputy minister Terens Quick will supervise the general secretariat of coordination. 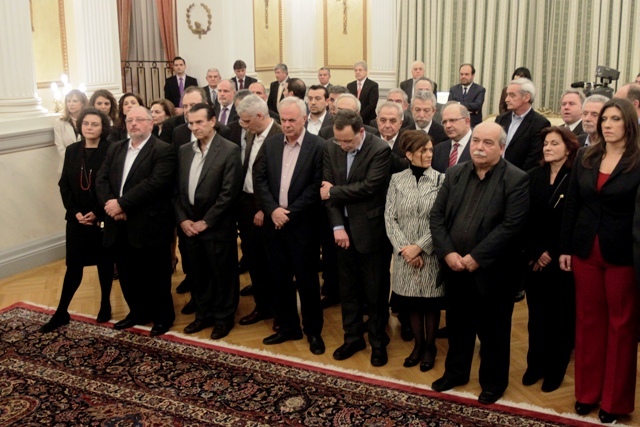 Minister of State for Combatting Corruption Panagiotis Nikoloudis will supervise the public administration’s supervisory mechanisms, while Minister of State Nikos Pappas will oversee the general secretariats of the prime minister and of the mass media.